Incidentally, Virginia Olsen has this ongoing summer promo. 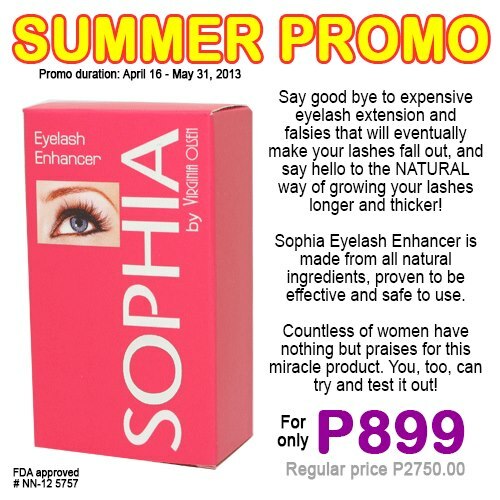 The FDA-approved Sophia Eyelash Enhancer is now selling for P899 (approx. $22) until May 31, 2013. Regular price is at P2,750.